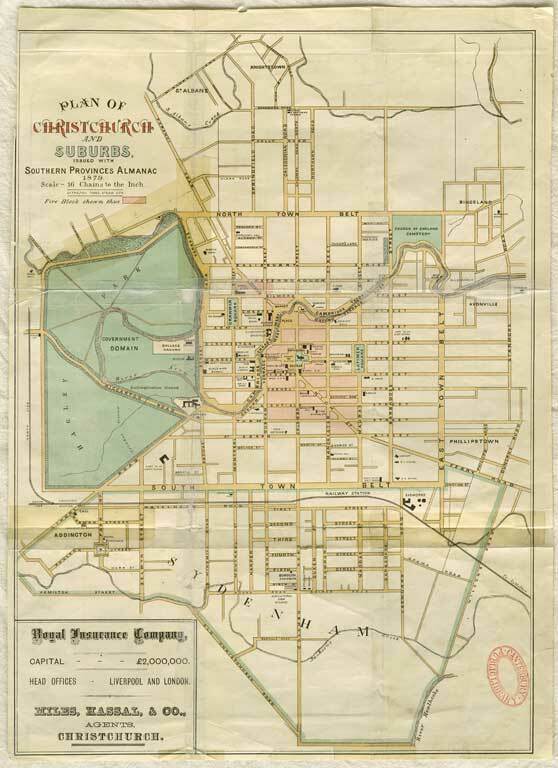 Title: Plan of Christchurch and suburbs. Physical Description: 1 map : colour ; 42 x 30 cm. Scale etc: Scale: 1:12,672. 1 in. = 16 chains.